Have you ever been walking on a sidewalk and suddenly tripped on a crack you didn’t see? We’ve all been there and given the mean sidewalk that evil glare. 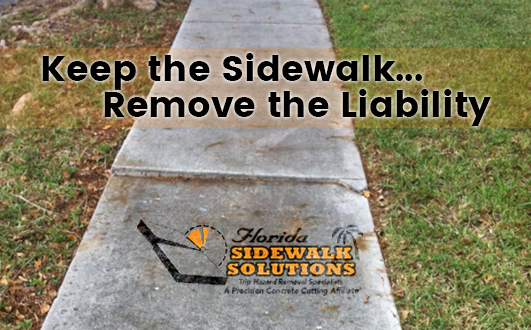 And if you have a crack on your sidewalk, it might be time to find a concrete walkway repair company. Those cracks in the sidewalk? They are actually dangerous trip hazards. 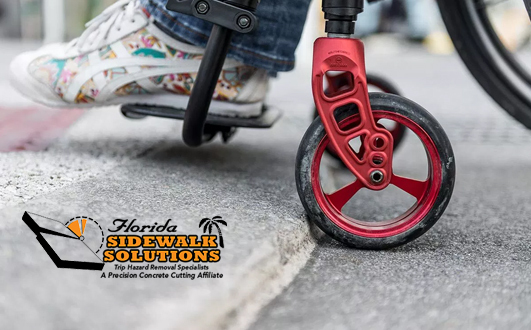 In fact, any incline over in excess of a quarter inch falls under the definition of a trip hazard according to the ADA (Americans with Disabilities Act). 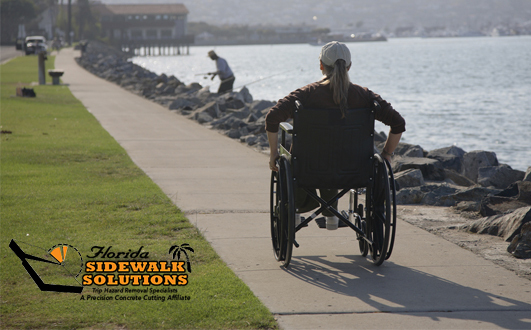 The ADA views trip hazards as a public safety issue. In other words, if the trip hazard is on your property and an individual gets an injury, you could be held liable for damages. So what are your sidewalk repair options? 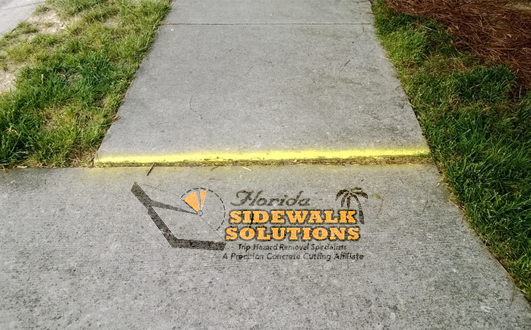 The answer to the question posited above seems simple – remove the trip hazard! But how will you do that? You see, replacing concrete sidewalks is expensive, time-consuming, and disrupts the path for an extended period of time. Well, what about grinding? Grinding concrete has limits, especially for removing trip hazards. 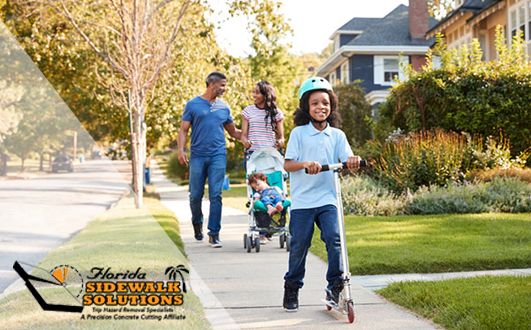 Say you need to repair a concrete walkway with a crack that goes to the corner or is next to a gutter. Grinders are bulky and will only be able to get some of the surface level. Rather, consider the benefits of cutting concrete instead. 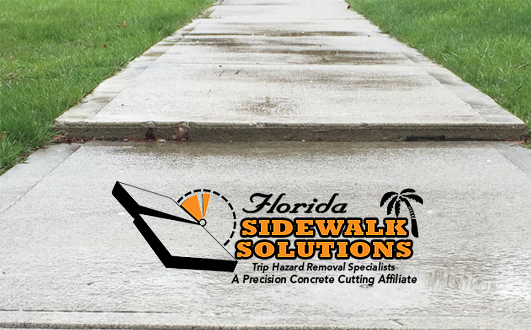 The advancements in concrete cutting technology allow operators to cut uneven sidewalk panels with precision. Concrete cutting is also fast and more affordable than the alternatives. But those aren’t the only benefits of concrete cutting. 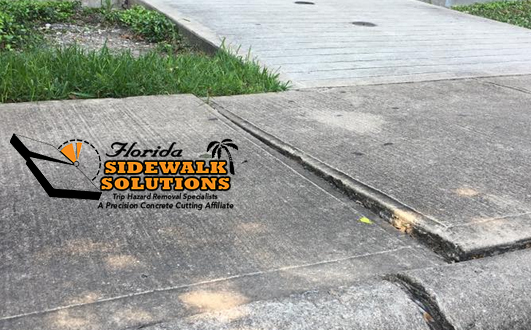 Why replace a perfectly good sidewalk because of a concrete crack or cracks? Why grind a trip hazard when grinding doesn’t guarantee the trip hazard will be removed? 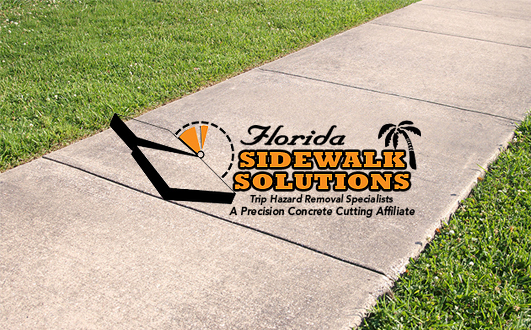 Instead, find a concrete walkway repair company that uses concrete cutting to remove the trip hazard completely. 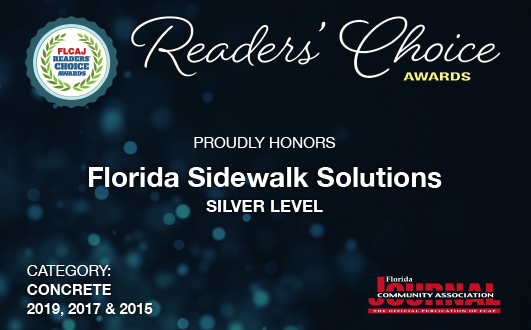 And if you’re in South Florida, your choice is easy. 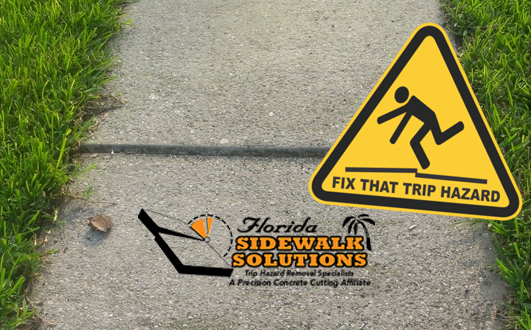 Florida Sidewalk Solutions is the top sidewalk repair company specializing in trip hazard removal. 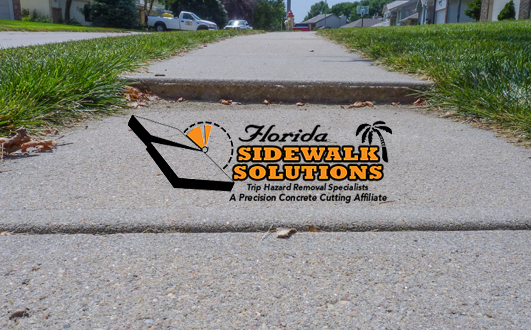 We use the latest concrete cutting technology to quickly remove trip hazards and leave perfectly level sidewalk surfaces. 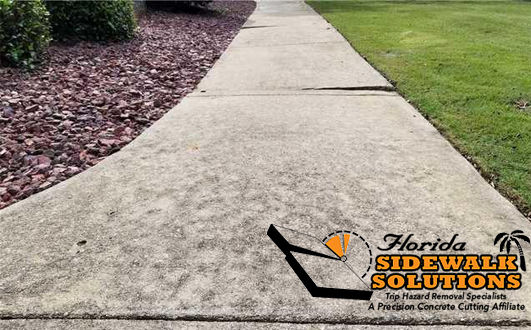 So whether you are a homeowner, a property manager, a member of an HOA, work at a school, are with a municipality, or any other scenario that calls for removing trip hazards, our specialists can help. 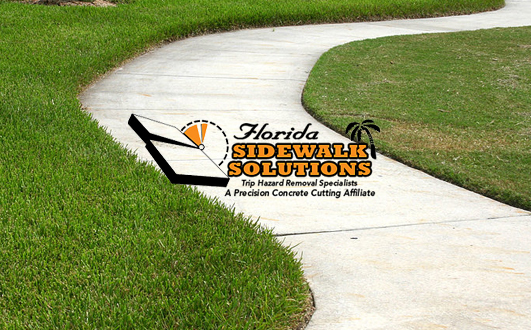 Contact us to get a free estimate for the cost of concrete walkway repair or call 954-514-7218 to schedule your project today!